Here is my latest handiwork for the Huffington Post. The spring housing market is behind us and we are now fully ensconced in summer, able to sit at the beach, sip our drink and watch the waves roll in. Waves of housing statistics that is. Seemingly everyone from the consumer to the POTUS has been waiting for a rogue wave that will finally bring some good news on housing. In fact most of us are aching from bad news overload and desperately want good news or at least a temporary reprieve from the bad. Like the closing scene from the 1973 movie Papillion where Steve McQueen’s character–when trying to escape from the island–determined that every seventh wave was big enough to enable him to float past the rip currents that surrounded the island. The monthly gauntlet of key housing market reports from the past week show a rising tide of better-than-we-have-heard-in-three-years-news on the state of US housing market. July 22, 2009 Federal Housing Finance Agency news release headline: “U.S. Monthly House Price Index Estimates 0.9 Percent Price Increase from April to May.” This report reflects sales with conforming mortgages through Fannie Mae and Freddie Mac at or below $417,000 plus the high priced housing markets such as the New York City area that have a $729,750 mortgage cap. Housing markets that rely on conforming mortgages are expected to recover first because the that mortgage market has been the target of recent federal stimulus and bailouts. However the month over month price increase of 0.9% touted in the report headline is the first such increase since February. Although 5 of the 9 regions show a month over month increase in prices only 1 of those 5 regions had an increase in the prior month. In other words, this trend is not very compelling. 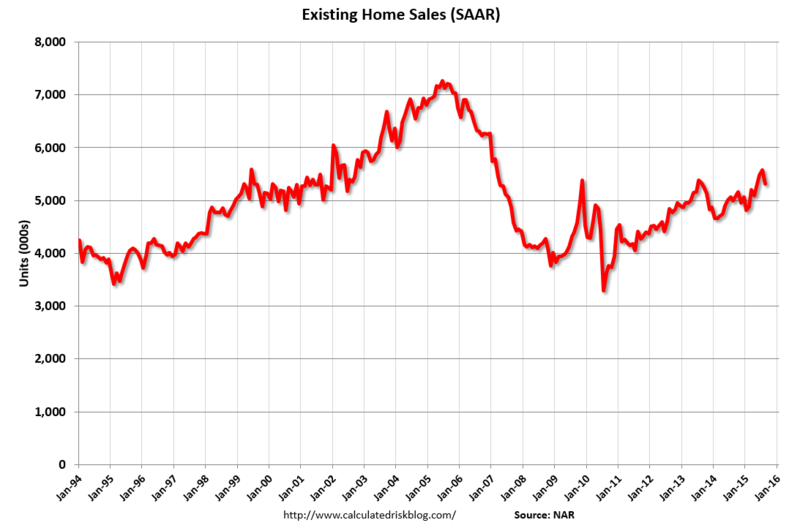 July 23, 2009 National Association of Realtors Existing Home Sales report headline: “Existing-Home Sales Up Again” The number of re-sale increased 3.6% in June from May, the third month over month increase in activity. The number of sales was only 0.2% below the level of last year’s activity in the same month. This was largely due the 31% market share of foreclosures, assumed to be purchased by speculators plus the impact of the federal tax credit for first time buyers which expires at the end of November. However, this seasonally adjusted sales 3-peat was also seen at the end of 2006 and the beginning of 2007 before sales activity fell sharply. In other words, this trend is not very compelling. July 27, 2009 Commerce Department New Home Sale Index headline: “New Residential Sales in June 2009.” This is the report that got everyone excited because of the 11% increase in new home sales month over month and the largest such increase in 8 years. Floyd Norris of the New York Times points out that if you look at the actual number of sales in June, it was the second lowest month of sales on record since the metric was tracked in 1963. In other words, this trend is not very compelling. 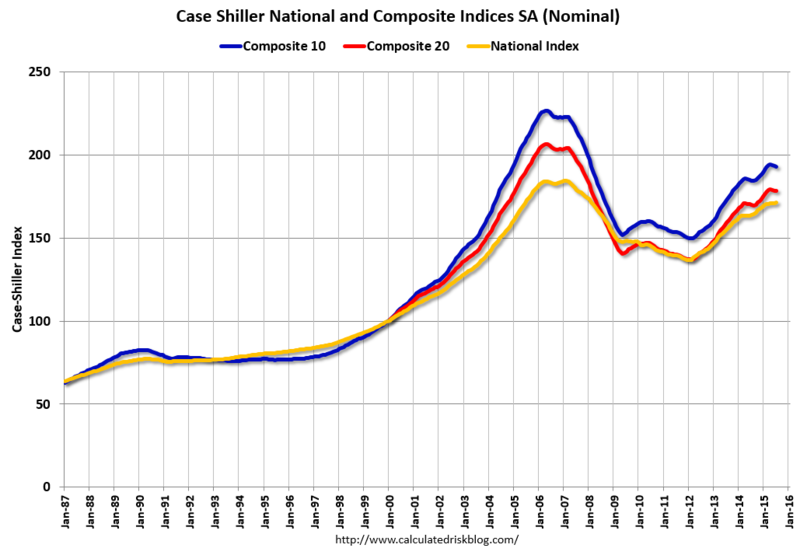 July 28, 2009 S&P/Case-Shiller Index “Home Price Declines Continue to Abate.” The 20-City Composite has shown a lower annual rate of decline for 4 consecutive months and 13 of the 20 metro areas posted month over month increases but this is before seasonality is adjusted for. In other words, we expect prices to rise in the spring if they are going to rise at any point during the year. If seasonality is factored in, month over month gains evaporate. In the New York City region, the 20-city composite index doesn’t cover co-ops, condos, foreclosures and new development, more than half the sales activity. In other words, this trend is not very compelling especially after considering that along with the most recent month in the report, the index has declined year over year for 29 straight months. In a stroke of irony, big media, which was on the receiving end of the real estate industry’s “blaming the media” ire for the past three years–as responsible for making the downturn worse–has taken the positive outlook and run with it. Nearly every major news outlet has begun to report each of these reports by cherry-picking and overweighting the positive elements results in a downright giddy tone. Over the past week, the general sentiment in news coverage is clearly moving towards the positive but mainly confined to the headlines. Step back for a second and ask why would the housing market start to improve now to lead the economy? If more people are losing their jobs and credit remains tight, how can we expect the number of sales and housing prices to over come this. Unemployment is still rising and is expected to continue rising through next year even though the recession could be over right now or close to it. 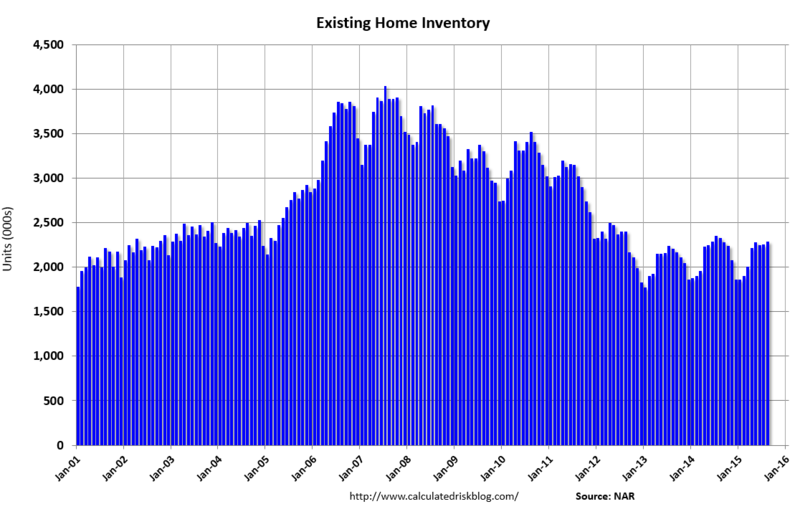 Housing inventory is still high and the number of sales, exclusive of distressed asset sales is still low. Speculators may be on their way to becoming a force again in the market. Mortgage rates are expected to trend higher over the next few years with all the new debt taken on by the federal government. Credit is still very tight, and while there has been some discussion of loosening in mortgage underwriting, banks still aren’t enthusiastic about lending. There appears to be some easing on conforming mortgage underwriting but a chokehold remains on jumbo and new development financing. Sellers tend to “chase” the market when it is falling, unable to respond to the decline in values as quickly as the market does. 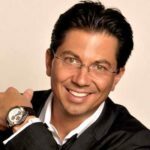 If sellers take this positive news too seriously and don’t focus on the realities of their local markets, they may end up being over confident when negotiating a sale, losing the buyer and falling even further behind the market than they would have otherwise, eventually selling for less. Luxury condo developers and especially the lenders behind them, many of whom are facing stalled projects, could experience a sense of renewed optimism from the recent depiction of the housing market, causing them to miss the market, eventually realizing a larger loss. So let’s be clear. 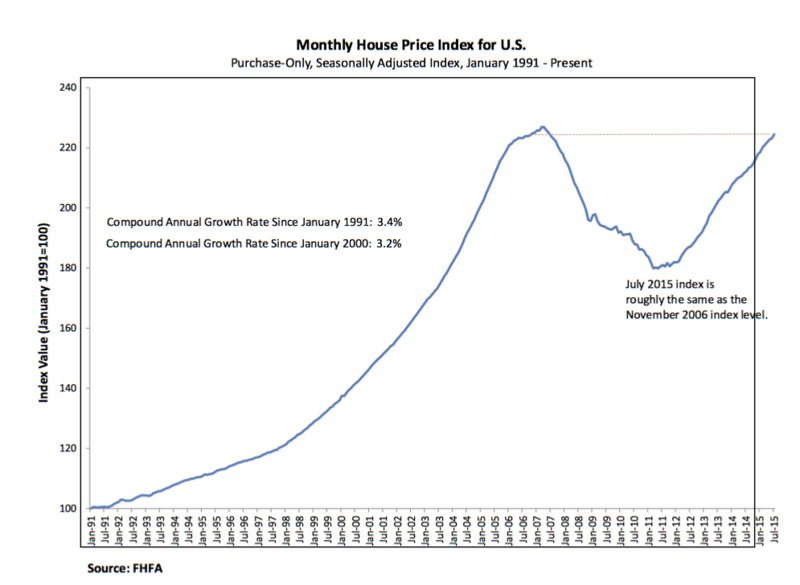 While I am hopeful that we will see a housing recovery at some point in the future, I’d rather it be real. In the meantime, I’ll sit at the beach and count the waves. Here is my latest handiwork for the Huffington Post. I posted it there on Friday but an extended weekend of rest and relaxation was simply beyond my control. We have since welcomed a new presidential administration, seen a few million more foreclosures, a few trillion in lost home equity, a few hundred bank failures, the National Association of Realtors continues to pump out monthly pronouncements of improving housing conditions, the Fed Chair adds “green shoots” into the conversation, several million more become unemployed…. Although the Manhattan real estate sales market has long been a full-blown spectator bloodsport worthy of an X-Games-like nightly television special, the rental market has patiently remained in the background, a cerebral cousin who stays home and plays it safe. As an added bonus, my link was placed on the home page just under the Madoff headline. Fun! The Huffington Post approached me to write blog posts about the housing market periodically. I post weekly or as inspired, not necessarily in that order. It would be great if you could it within your heart to become a fan (actually select a “become a fan“) and make comments on my HuffPost musings if inspired.